Lost toy, now a reality! 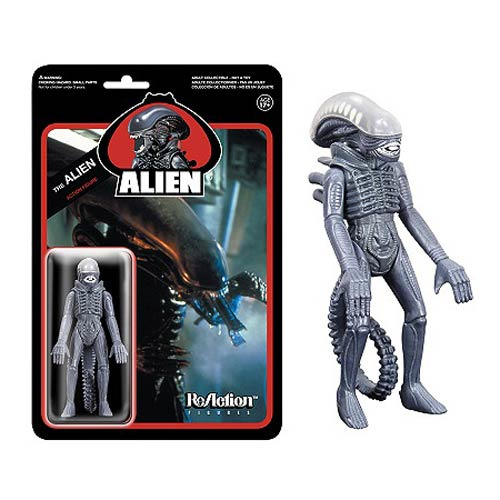 3 3/4-inch ReAction Figure of the Alien from Alien. Based on the 1979 prototype manufactured by Kenner! Great collector's piece for fans of the retro Kenner-style action figure! Retractable jaws, articulated tail, and removable dome!